Humans, mammals, plants and animals, and eukaryotes and prokaryotes all share a common denominator in their manner of existence. It makes no difference whether they inhabit the land, or the sea, or another living host. They exist by virtue of their metabolic adaptation by way of taking in nutrients as fuel, and converting the nutrients to waste in the expenditure of carrying out the functions of motility, breakdown and utilization of fuel, and replication of their functional mass. There are essentially two major sources of fuel, mainly, carbohydrate and fat. A third source, amino acids which requires protein breakdown, is utilized to a limited extent as needed from conversion of gluconeogenic amino acids for entry into the carbohydrate pathway. Amino acids follow specific metabolic pathways related to protein synthesis and cell renewal tied to genomic expression. Carbohydrates are a major fuel utilized by way of either of two pathways. They are a source of readily available fuel that is accessible either from breakdown of disaccharides or from hepatic glycogenolysis by way of the Cori cycle. Fat derived energy is a high energy source that is metabolized by one carbon transfers using the oxidation of fatty acids in mitochondria. In the case of fats, the advantage of high energy is conferred by chain length. Carbohydrate metabolism has either of two routes of utilization. This introduces an innovation by way of the mitochondrion or its equivalent, for the process of respiration, or aerobic metabolism through the tricarboxylic acid, or Krebs cycle. In the presence of low oxygen supply, carbohydrate is metabolized anaerobically, the six carbon glucose being split into two three carbon intermediates, which are finally converted from pyruvate to lactate. In the presence of oxygen, the lactate is channeled back into respiration, or mitochondrial oxidation, referred to as oxidative phosphorylation. 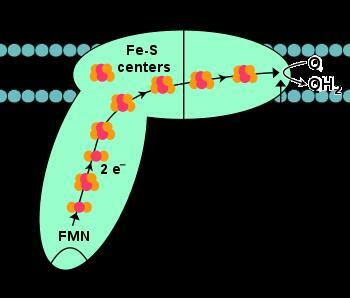 The actual mechanism of this process was of considerable debate for some years until it was resolved that the mechanism involve hydrogen transfers along the “electron transport chain” on the inner membrane of the mitochondrion, and it was tied to the formation of ATP from ADP linked to the so called “active acetate” in Acetyl-Coenzyme A, discovered by Fritz Lipmann (and Nathan O. Kaplan) at Massachusetts General Hospital. Kaplan then joined with Sidney Colowick at the McCollum Pratt Institute at Johns Hopkins, where they shared tn the seminal discovery of the “pyridine nucleotide transhydrogenases” with Elizabeth Neufeld, who later established her reputation in the mucopolysaccharidoses (MPS) with L-iduronidase and lysosomal storage disease. This chapter covers primarily the metabolic pathways for glucose, anaerobic and by mitochondrial oxidation, the electron transport chain, fatty acid oxidation, galactose assimilation, and the hexose monophosphate shunt, essential for the generation of NADPH. The is to be more elaboration on lipids and coverage of transcription, involving amino acids and RNA in other chapters.